Thinking about running for office in Michigan? Here are two training opportunities for YOU! If you are in Michigan and thinking about running for office in the next year, here are two training opportunities for you to consider. First off, we have the amazing Emerge Michigan folks who are dedicated to recruiting and training women to run for office and helping them WIN! Today is the first day to submit applications to be part of their 2018 class. You can register by clicking HERE. If you don’t already have an account with them, click the “Sign Up” link at the bottom of the page to get started. Emerge Michigan is one of the most successful organizations of its type. In fact, as of August, they already have 256 alumnae running this cycle. They do it right! 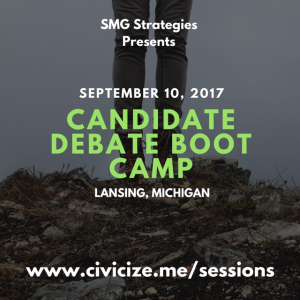 There are still seats left for Candidate Debate Boot Camp presented by SMG Strategies on Sunday, September 10, 2017! This event is from 8am-6:30pm in Lansing. Please share this opportunity with the candidates and campaign spokespeople in your networks! Prepare you for public appearances. 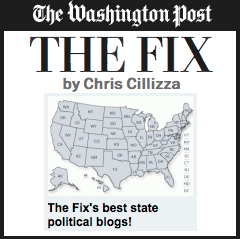 Help shape your messaging for successful voter engagement. Enhance your ability to speak persuasively, with passion and purpose. 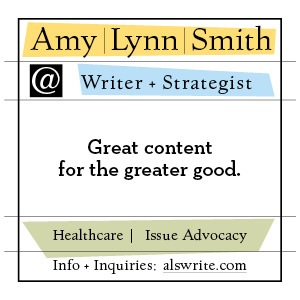 Expand your capacity to defend policy positions and to spontaneously respond to “outta left field” questions. Debate Boot Camp is open to candidates of all parties who are currently running, planning to run, or have a public speaking role in a candidate or ballot measure campaign. It is an intensive, highly interactive, day-long training, presented by Shannon Garrett and Dawn Crandall. Participation is first-registered, first-accepted, and registrations will be screened to avoid opposing candidate conflicts. Participants are required to prepare a 3-minute stump speech prior to the training. Space for training is limited so please register before seats are filled! Cost is $150 and can be paid using campaign funds. If you have any questions, please don’t hesitate to contact Shannon Garrett directly at [email protected] or 616-403-9290.